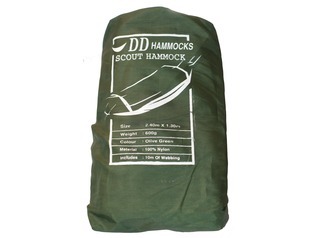 DD Hammocks have been working on a hard wearing and water resistant tough rucksack to go alongside their fantastic hammocks. 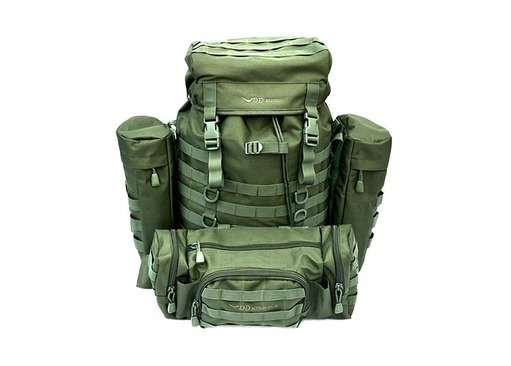 The result of their hard work and dedication is the DD Bergen Rucksack, this backpack has a main compartment of 37 litres, but DD didn't want to stop there so they have added three removable pockets which adds an extra 18 litres. 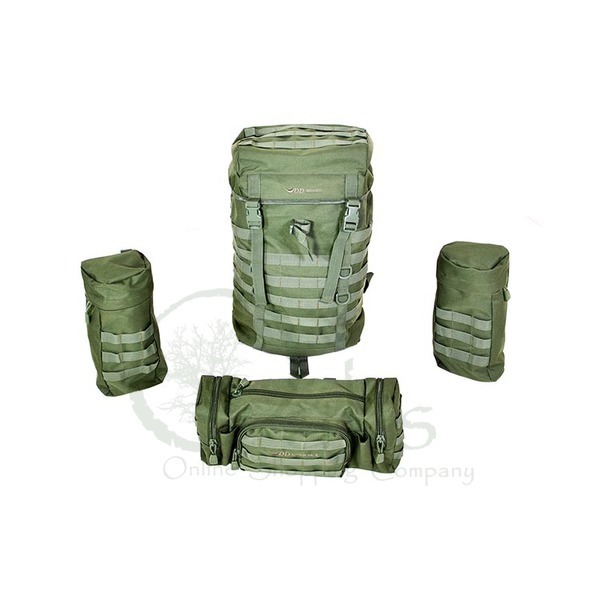 These removable pockets are a great addition as they allow for those extra bushcraft tools that won't fit in the main compartment when fully packed, such as firelighting kits and woodwork tools. The side pockets have material covering the zip line which adds that extra bit of security; just fold the material up when you want to access the pockets. 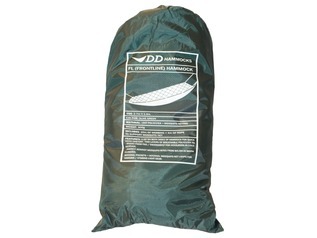 DD have added webbing loops to the Bergen which will allow for additional pockets to be added if you wish to, the Bergen also has a padded back and shoulder straps making it the ultimate rucksack for any camping enthusiasts. 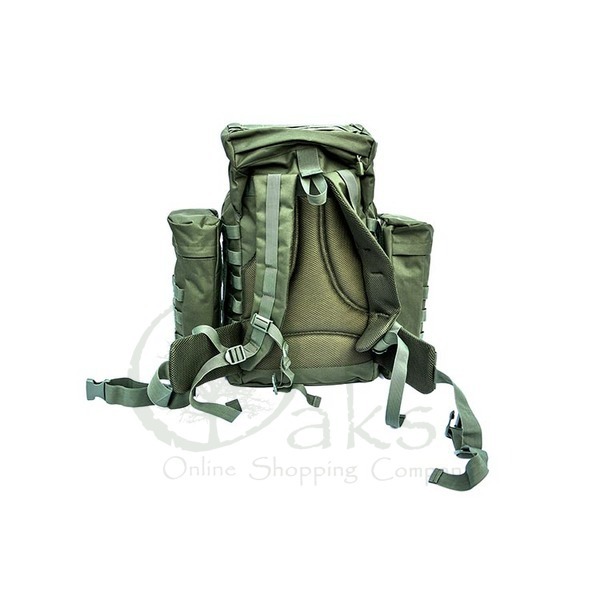 There is also a waist belt and chest strap which gives you added support and comfort when outdoors hiking. 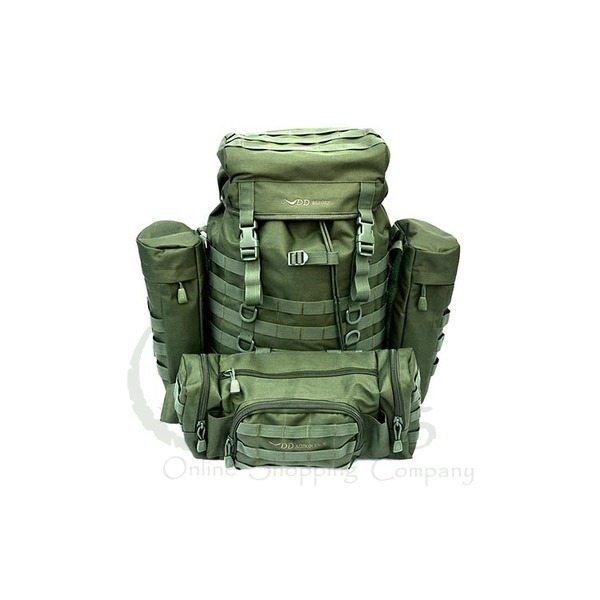 This medium sized rucksack has all your storage needs covered and with such high quality build this DD Bergen Rucksack will take great care of you on your outdoor adventures! 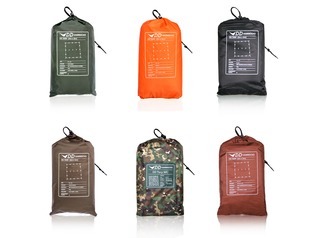 One of these removable pockets is called the DD Action Pack which has a separate strap that allows it to be taken off and used by itself when you want a lightweight smaller day pack, much like the Snugpak Response Pak. 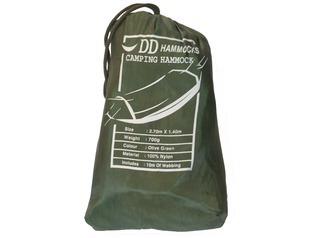 The action pack can fit a DD Frontline Hammock or any other small camping equipment you want to take out on a bushcraft expedition, such as spare paracord. It's also a very useful camera bag for nature photography. 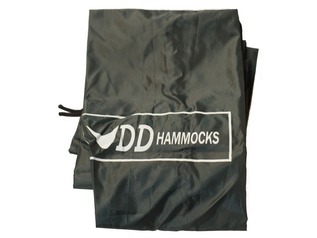 The DD Bergen Rucksack is made from 600D Oxford which is extremely durable; the inside is PVC coated which means when it is raining the rucksack is protected from the elements. The total size of the Bergen is 55 litres (37L for the rucksack and 18L for the removable pockets), it comes in Olive Green and the total weight is 1.7kg including the three removable pockets. 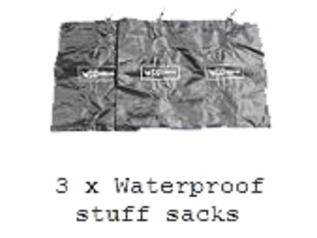 "Good size, Velcro strong, waterproofing all good stuff. Only 2 complaints. 1. Stitching is a little shonky... I have used it twice now and have had to repair some of the stitching already. 2. The zips on the side bags are a pain to open due to the stiff overhanginflg material. Loosening this top material would go a long way to fixing this."